The Department of Arts and Culture together with the Department of Basic Education, partner with John Kani and Nobulali Productions for a project that is a first of its kind in South Africa. They aim to reach; 100 schools; in 100 days through 100 pledges in support of the Arts Education 100 Schools campaign! The belief that education is a human right has led to the fundraising drive starting on International Human Rights Day (December 10th) and ending 100 days later on National Human Rights Day (21 March) 2014. World renowned Playwright Dr. John Kani, whose play Nothing But the Truth is a prescribed set work in schools, will give a key note address at the event. In 2013, Nobulali Productions ran a successful tour of Nothing But The Truth in threatres around Gauteng, Limpopo, Mpumalanga and Kwazulu Natal, reaching more than 9000 learners and 300 teachers. With the successful support from varied role players, the company hopes to increase its reach by threefold in 2014. The idea of arts education started in 2008 when the company’s founder Lali Dangazele (Known for her role as Nkensani In Rhythm City) found that drama can be used as an experiential way to make the curriculum fun and fast to learn. Since then her ‘assignment’ has evolved into a teaching and learning method called ShakeXperience . Response from government, corporate, theatres and individuals has been phenomenal, said a delighted Dangazele. Adding that the response brings to the centre stage the importance of making a difference to the 30 million learners, through one of the fundamental arenas of human rights: EDUCATION. She said the concept of ‘100 days’ is associated with ‘effectiveness,’ ‘fresh’ and ‘new approach to experiential learning. Making Teaching & Learning Fun, Fast and Experiential! Derived from humanness (Ubuntu/botho) Nobulali Productions has grown substantially in programmes, product offering, audience development and partnerships since its inception. 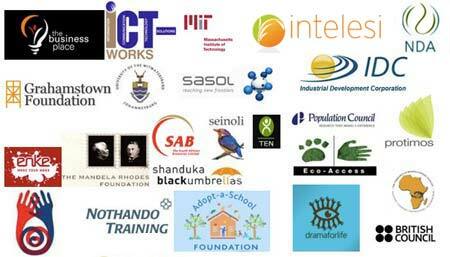 Today is International Human Rights Day and the Department of Arts and Culture together with the Department of Basic Education, partner with Dr John Kani and Nobulali Productions for a project aimed to reach; 100 schools; in 100 days through 100 pledges in support of the Arts Education 100 Schools campaign! This campaign peaks on National Human Rights Day (21 March) bringing to the centre stage the importance of making a difference to the 30 million learners, through one of the fundamental arenas of human rights: EDUCATION.